As far back as the Roman era and the Middle Ages lavender has been used to keep away illness, bad smells, and insects. Use in your linen closet with sheets to promote good sleep or in your clothing drawers for a marvelous scent from another time. 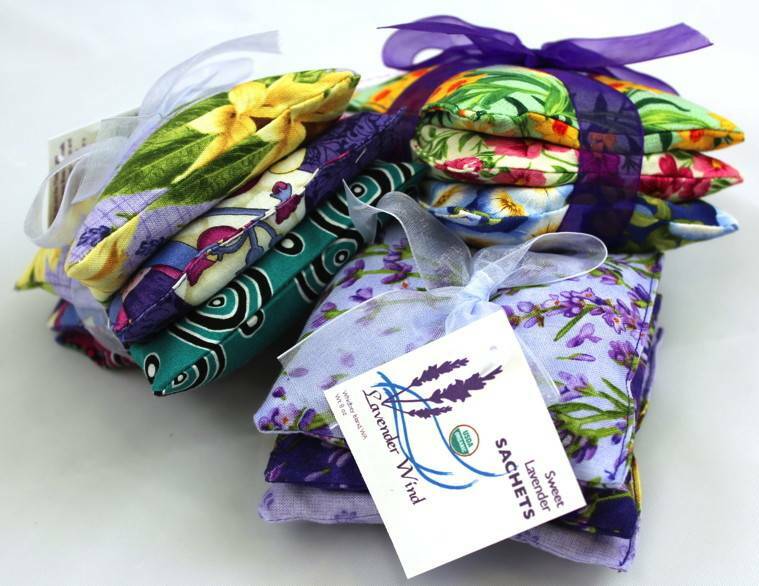 These sachets are made of various patterns of 100% cotton fabric and stuffed with pure lavender grown in the rain shadow of the Olympic Mountains on Whidbey Island. 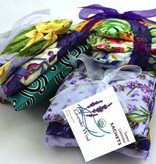 Each pack has three 4" square sachets tied with a cheerful ribbon. Colors vary, please add note about your color preference.